While fresh food is the foodie darling, there are times when frozen food can actually be better. In the era of fresh clean food, the freezer and its contents often get a bum rap, but I’m here to defend them. Aside from the convenience of having food in various states of preparedness on hand, frozen food has a lot of other things going for it, despite its association with bland tv dinners. It can allow for a variety of produce regardless of season, it keeps things from spoiling and going to waste, and some frozen items actually have better nutritive value than their fresh counterparts, as counterintuitive as that may seem. With this in mind, I was happy and not all that surprised to see Environmental Working Group’s (EWG) new roundup of tips for people who want healthy frozen food, and who want to save time and money, and reduce household food waste all at the same time. “While fresh food is typically the best option, consumers don’t need to bypass all options in the frozen aisle,” the analysis notes. Last year I wrote about six frozen foods everyone should consider, a subtle love letter (a friendship letter?) to frozen food – there is a lot of overlap with EWG’s list. So rather than just being repetitive, I thought I’d highlight the parts of the EWG tips that really stand out to me: Namely, the instances in which they note that frozen food is actually the better option. Frozen green beans are half the cost of fresh ones and retain more of their vitamin A and C content than other frozen vegetables. Similarly, frozen green peas are one of the cheapest frozen vegetables and retain more of their vitamin C content than fresh peas that have been stored for five days. …superior to dehydrated berries, which can lose up to 50 percent of their original vitamin C and 70 percent of their folate content after being exposed to high pressure or temperatures. Compared to frozen versions, vitamin C content was 44 percent lower in freeze-dried strawberries. As an added bonus, frozen blackberries are cheaper on average than fresh ones. Consider looking beyond jarred food. In their frozen aisles, some stores are stocking baby food made from fresh fruits and vegetables. Freezing produce helps slow nutritional losses, and helps prevent the growth of most microbes, making preservatives less necessary. And since frozen fruits and vegetables are often harvested at the peak of the season, there’s less need to add flavors, or other additives or fillers to improve taste. Frozen seafood is typically cheaper and often of higher quality than fresh fish, which can be in transit on ice for more than a week before reaching the grocery store. Frozen fish also helps you add fish to your diet at a reasonable cost, while avoiding the endocrine-disrupting contaminant found in BPA-coated cans that could be used to package fish. This is a rare case when opting for fatty varieties is a good idea – they are higher in omega-3 fats and are more resilient to freezing. You can check EWG’s Seafood Calculator to choose fish that are high in omega-3 fatty acids and low in mercury. About a quarter of the frozen burritos in EWG’s Food Scores score in the green [the highest ranking]. But some burritos rose to the top because they highlight beans, a health-promoting and environmentally friendly protein, and have fewer ingredient and processing concerns. So there you go. Wave your freezer flag and wave it proudly. For more on these, including some great tips on what specifically to look for, visit 5 Fabulous Finds in the Frozen Food Aisle. Now passed by both the House and Senate, H.J. Res. 69 nullifies federal protections for hibernating bears, denning wolves, and other predators on national preserves in Alaska. In a party-line vote (similar to one already taken in the U.S. House) overriding the objections of the Sierra Club, the Humane Society, and Alaska wildlife protection groups, the U.S. Senate passed a resolution on 21 March 2017 nullifying Obama-era Department of Interior regulations that prohibit the use of such tactics as baiting, spotlighting, and aerial spotting to hunt predatory animals on national preserve lands in Alaska. If signed by President Trump (which is likely), H.J. Res. 69 will hand jurisdiction over the hunting of bears, wolves, and coyotes on Alaska’s 20 million acres of federally-protected national preserves back to the state, which, since 1994, has had “predator control” laws on the books aimed at maximizing wild game populations for recreational hunting. Rep. Young and others in favor of the bill argue that some of the practices outlawed in the federal regulations are also banned by Alaska state law, making the former largely redundant. H.J. Res. 69 next goes to President Trump for signature before it can take effect. How To Keep Blood Pressure Under Control With Natural Hypertension Remedies? Stresx capsules are the best natural hypertension remedies to keep blood pressure under control and improve overall health. Hypertension is one among the common health issues reported in today’s busy lifestyle. How to keep blood pressure under control without creating any difficulty? This is a common query heard from people. As per research, including white beans in daily diet is found to be very useful to cure health issues like hypertension. In order to achieve great results, feel free to prepare and consume salads made with white beans. Similar to white beans, fat free plain yogurt is one among the natural hypertension remedies to alleviate the troubles due to hypertension. In order to alleviate the troubles due to hypertension, feel free to include yogurt in daily diet. At times, including tilapia in daily diet is found to be very effective to treat a wide range of health issue like hypertension. As per research, this food source is found to be free from toxins like mercury and PCBs. Hence try to make use of this food source in daily diet. Also, follow a lifestyle free from habits like smoking and alcohol consumption. Today, there are many herbal products available in market that boasts off cure from health issues like hypertension. If you are planning to buy any herbal product from store, make sure that you select the right product from store. Do you like to include kiwi fruit in daily diet? As per studies, including kiwi fruit in daily diet is found to be very effective to treat hypertension troubles. Presence of vitamin C compound is a key feature of kiwi fruit. In order to achieve the best result, include kiwi fruit in daily diet schedule. Similar to kiwi fruit, you can also make use of peaches to eliminate the difficulties due to hypertension. Presence of calcium, magnesium and potassium in peaches naturally reduces the risk of health issues in human body. Banana, enriched with potassium is another food source to reduce the risk of hypertension troubles. To get effective result, drink a cup of banana shake every day. Similar to banana, you can also make use of kale to reduce the troubles due to hypertension problems. You can use kale as both cooked and raw. It assures reduced action of free radical mechanism devoid of side effects. For the best health advantage, feel free to include baby kale leaves in salads that you prepare and consume. Red bell pepper is another food source to regulate rise in blood pressure level. It promotes fat metabolism and reduces the risk of hypertension. Presence of capsaicin compound is another key feature of red bell pepper. In order to achieve good result, include bell peppers in daily food items that you prepare and eat. Broccoli is another food item that can reduce the troubles due to hypertension. Studies say that this vegetable is a potent composition of phytonutrients called glucosinolates. Hence feel free to include this food source in salads that you prepare and consume. Stresx capsule is one among the top sold products to control hypertension troubles. It is a potent composition of ingredients that promote blood circulation throughout the body. TodayFree Web Content, you can easily get this herbal product from online store. 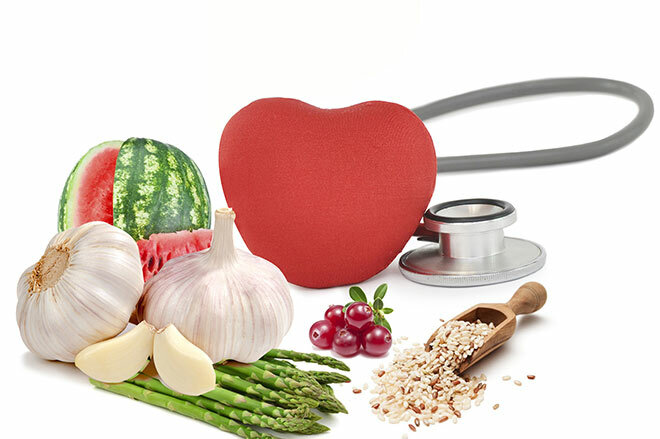 Read about High Blood Pressure Herbal Treatment. Also know Hypertension Herbal Treatment. Read about Reduce High BP Treatment. Back in July, I had a racist encounter. I say “encounter” because when you have skin as light as mine, experiences with racism can feel pretty alien. All napkin illustrations by Anisa Rawhani. Used with permission. My boyfriend and I hop on the subway. The man standing next to us strikes up a conversation. We laugh and chat, enjoying the company of a stranger. Then the man begins to speculate about my white boyfriend’s background, to which he responds that he’s British. “And you, you must be Portuguese or Italian,” the man says. The man turns to my boyfriend. Unwanted attention. Everyone has experienced it, albeit to varying degrees. Most women experience it when they’re belittled because of their gender. Catcalls, harassment, day-to-day indignities — all to make us feel like we don’t have a right to the space we’re occupying. None of that is new to me, and each time one of these gender-based indignities happens, I grow a little less shocked and a little more outraged. Each incident piles on and crawls further under my skin, echoing every other time it’s happened to me or a friend. But when I heard a man say I’d blow up, I entered uncharted territory. Suddenly, my race was the target. At first, neither of us understood what he meant. My boyfriend thought “blow up” implied I’d get emotional. I thought it meant I’d get fat. Seeing our confused expressions the man clarified: He was talking about bombs. Maybe if he’d said that to someone browner — someone more “ethnic” — the penny would have dropped faster. When it finally did, I remember feeling shocked and disappointed. That was about it. It wasn’t like those times men harassed me because of my gender. This man’s words didn’t inspire deep emotions because there were no memories to be recalled. There was no wound for him to reopen and exploit. Indifference in the face of racism is an unbelievable luxury. That someone was unable to cause me pain or reduce me to a feeling of nothingness with mere words is not a mark of my own strength, but a mark of my experiences — or lack thereof. That I’m not insecure about my race isn’t because I’m a confident woman; it’s because I so rarely have to think about it. I’m not constantly being reminded. Feeling my face fall, seeing my boyfriend’s jaw flex, the man sensing the change and backtracking because we were taking what he said too seriously. He wasn’t racist. His girlfriend was Indian and Muslim, which he explained smugly. When I see racism from the outside I leap to my feet; I’m ready to take on anything. But when it was about me, I couldn’t do it. I just wanted to be as far from that man as possible. In the time that immediately followed, I thought about all my non-white friends who’d confided in me about moments like this. I thought back on all the times my friends told me about racist encounters with classmates, professors, and strangers. How often I’d thought: Why didn’t you do anything? I know now what an unfair standard that was. When you become the target of racism, you’re stripped of valid choices. That doesn’t mean you’re powerless, but you’re working within a set of circumstances that are fundamentally unjust. You’re expected to rise to the occasion when someone’s attempted to strike you down. It’s easy for people with their feet planted firmly beneath them to say stand up for yourself. We’ve all heard about racist incidents — many far more disturbing than what I described. Many of us (myself included) would like to think if we were in that situation we’d have a witty response on hand — or at the very least that we’d give them a piece of our mind. Option A: You can try to back up and disengage. Option B: You can blow up. You have every right to be upset, so you confront the person’s prejudice. You make it clear just how out of line they are. Option C: You can speak up. When you’re the victim of a racist incident, you’re immediately racialized. When you speak, you aren’t speaking as yourself, you’re speaking as an ambassador of “your people.” That’s a lot of pressure. It’s great in theory, but difficult and emotionally taxing in practice, especially when you’re not exactly prepared for it. Whether someone speaks harmful words out of ignorance or because they have deep-rooted hatred, they tend to grow defensive very quickly when confronted with their indiscretion. Not every ear is willing to listen, not every person is worth pursuing, and it’s not the responsibility of victims to educate their assailants. For those of us who aren’t victims (or rarely are), remember that raising expectations and what-ifs, or questioning why a victim responded the way they did, isn’t helpful. After the man rambled on about why what he said wasn’t offensive, the train started to slow and my boyfriend said this was our stop. We left the car and waited on the platform for the next train to come. Some things about this incident remain unclear, but one thing I know for certain: As I waited on that subway platform for the next train to come, I was sure glad I wasn’t alone. This post first appeared on Raw Honey and is reprinted here with permission. A common question that I get from people working on opening up to their spiritual selves is, “How do I know if my spirit guides are contacting me?” Like most things in the spiritual world, who you are and which symbols are meaningful to you will largely determine the pattern that these interactions will take. This list features 5 common ways guides try to contact us. As most of you probably know, when we are in the presence of spirit our bodies can have a physical response like getting chills or goosebumps. The energetic shift instigated by their presence makes our hair stand on end! Other people feel a warm, loving feeling like an embrace or a hand on their arm or cheek. Commonly, these very same sensations can indicate that our guides are offering validation, love, and support to us. Are you contemplating a major life shift and all of a sudden you feel a strand of cold energy moving up and down your legs or spine? That’s very likely validation from your guide that this is a good direction for you to go. On the contrary, a ‘negative’ feeling indicates a ‘no’. 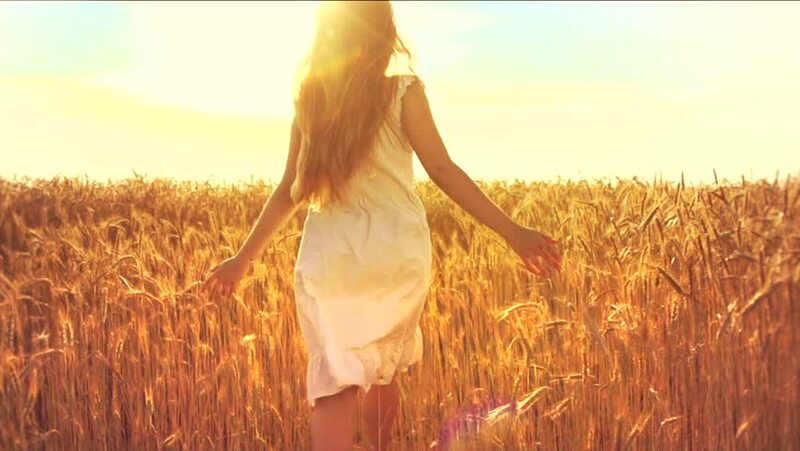 Similar to feeling shifts in energy when spirit enters your environment, you can also hear them. So many people experience a buzzing (like a bee) or a ringing in their ears as indications that their guides are present. It’s like your body is saying, “Oh hey – there is someone in your presence you need to pay attention to. Listen up!” Another common way that our guides try to talk to us is through clairaudience. They’ll say our names in our ears or speak key words or sentences to us. This can be SCARY at first. When I was 16, my first guide tried to contact me by silencing super loud environments and speaking my name to me. He would just call, “Katie. Kaaaaaatie.” At the time, this scared the crap out of me and I shut communication down in that way. I’ve heard similar stories from others who would hear their guides trying to talk to them and feel thrown off by the unexpected voices. I’ve since opened back up and now truly enjoy this method. It’s nice to hear their voices! If this is happening to you and you want to a) ensure it’s a guide talking to you and b) refine this method, I would recommend that you declare yourself open to speak only to high vibrational entities. Numbers and number combinations often operate according to the same principles as feathers. For example, the number 1111 that many people are seeing now represents the opening of a new beginning or new journey which is resultant from your thoughts. It’s a, “You’re on the right path”. 555 is known to represent changes. There are many helpful guides online such as ‘Sacred Scribes’ that can help you decode what each number means. This is a fun one and most definitely a key way that I get messages in my day to day life. Ever listen to a song and all of a sudden you zone in on lyrics that seem to provide an answer or some form of support to you and the situation you’re going through? Have a song stuck in your head that you don’t even really listen to but is oddly relevant to your situation? Hear the same song everywhere you go (that isn’t a new pop standard)? There’s a good chance that you are receiving love, support, and/or information from your guides this way. One time I had flown to Ireland for Christmas vacation. Being a TA at the time, I had a set of exams with me which I was supposed to correct over the holiday (yeah right). On the flight back, I put the tests in my big suitcase which went in cargo. Guess whose suitcase didn’t arrive for a week? Mine. One day while I was SWEATING it about the situation the phrase, “Peg, it will come back to you” from Steely Dan’s ‘Peg’ started repeating in my mind and I got warm chills. In that moment, I knew that the suitcase would come back. Sure enough, it did. Right on time. I will conclude this piece by saying that these are only a few of the many possible methods that spirit may be using to contact you. If you feel your guides are contacting you in a way that doesn’t appear on this list, you’re probably right! Don’t discount a message if it’s not coming through in any of the ways described here. If you’re in question, listen to your heart. It’s never wrong.